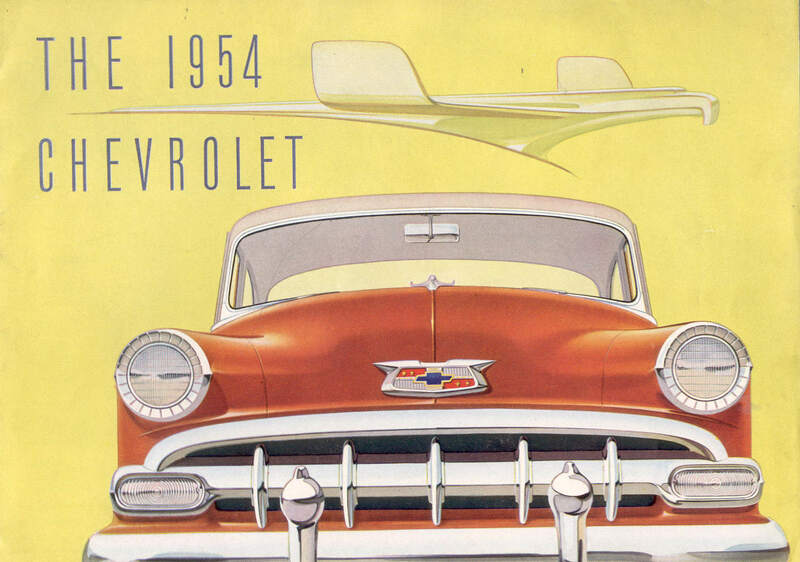 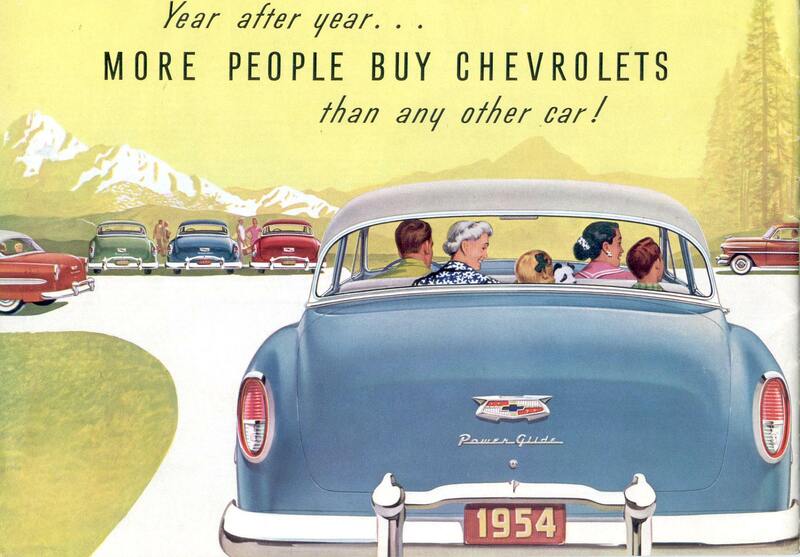 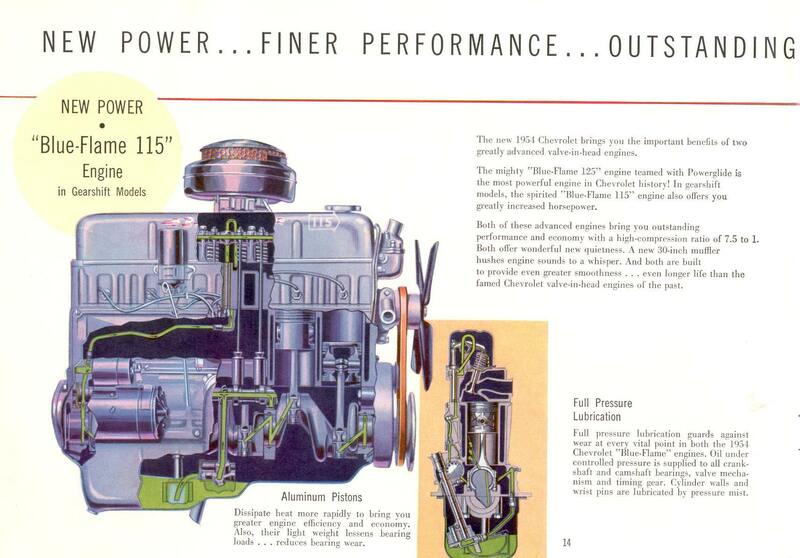 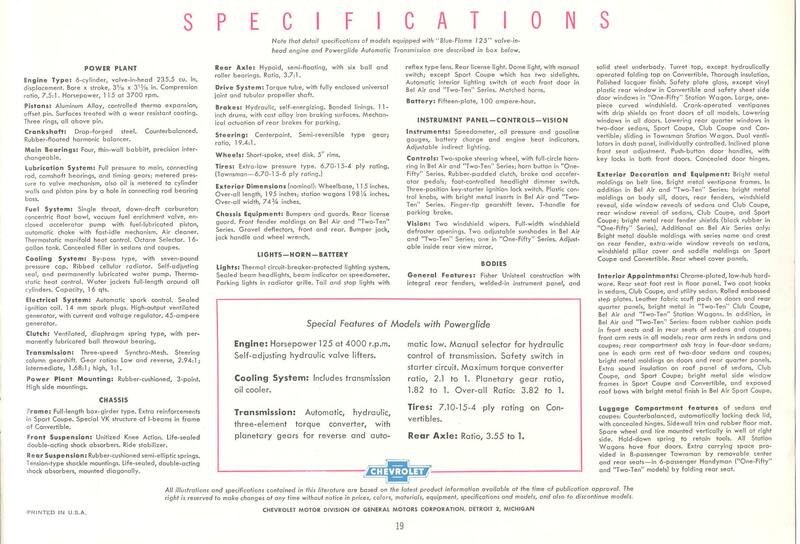 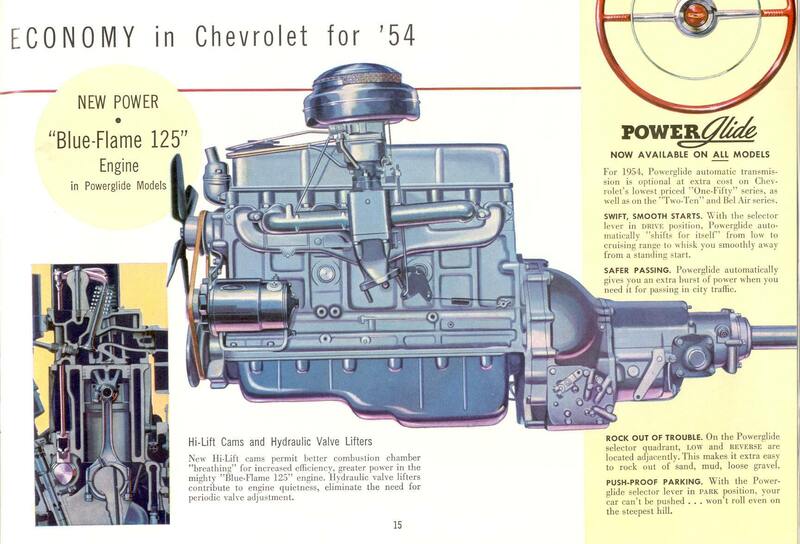 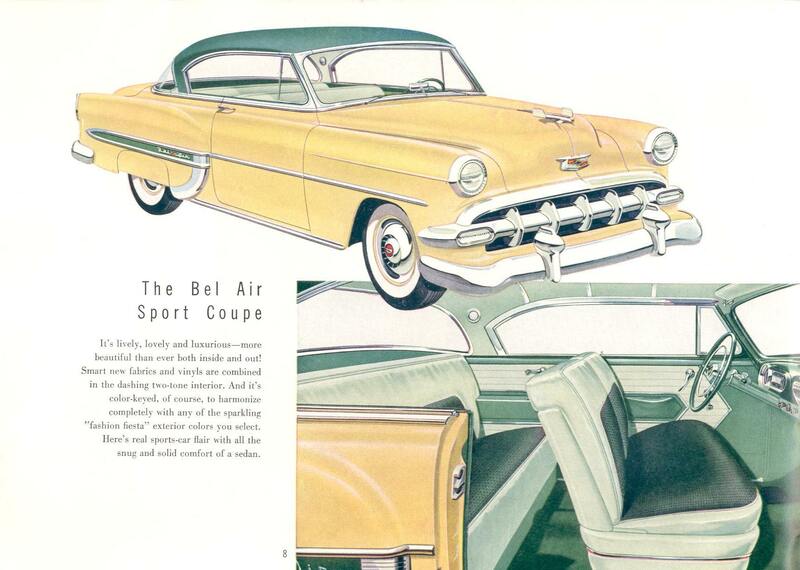 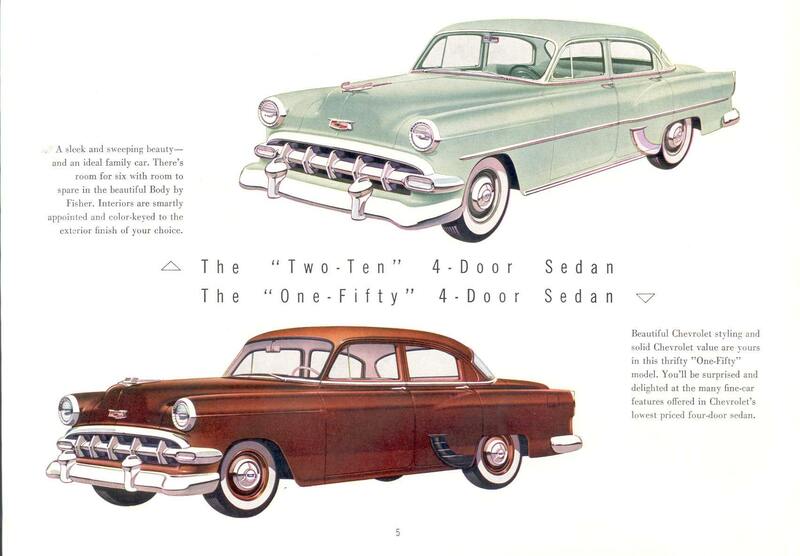 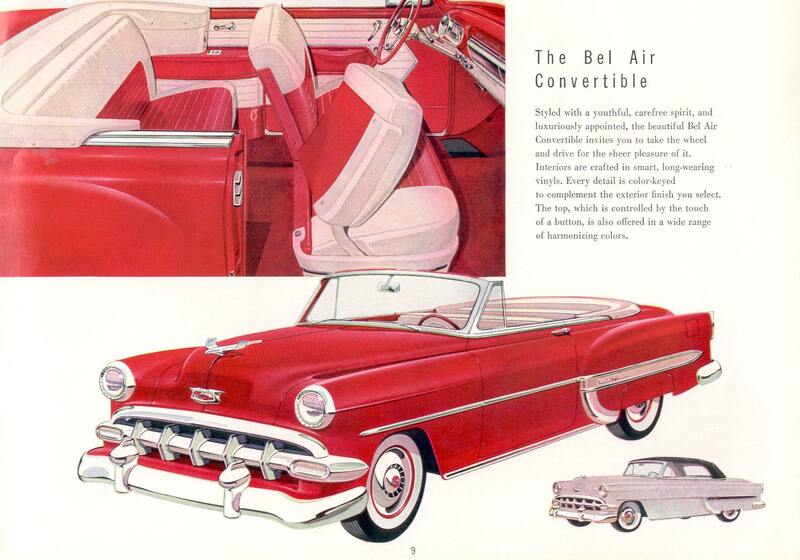 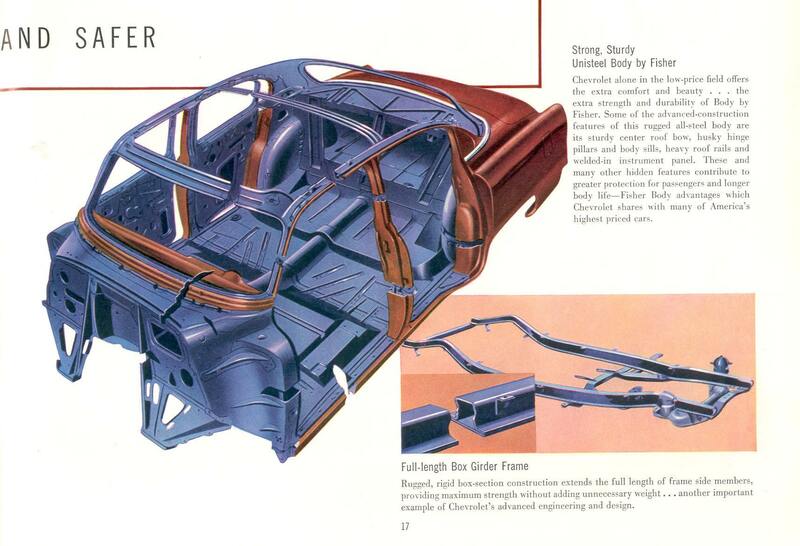 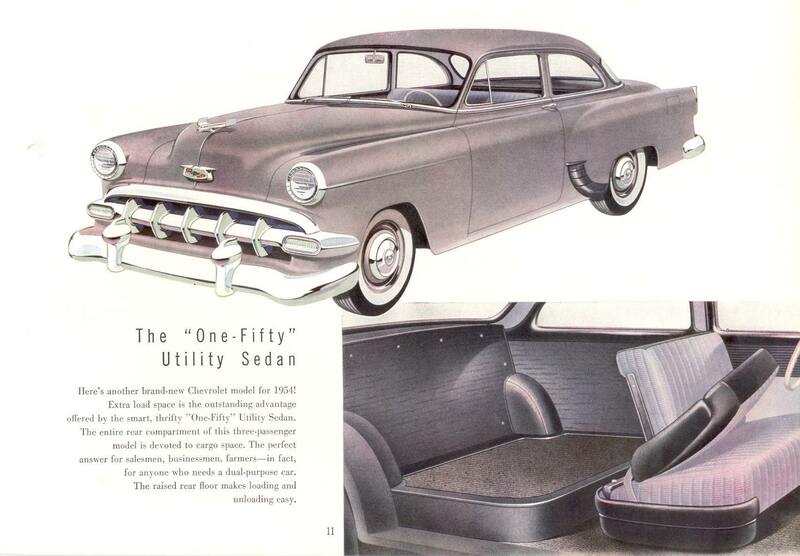 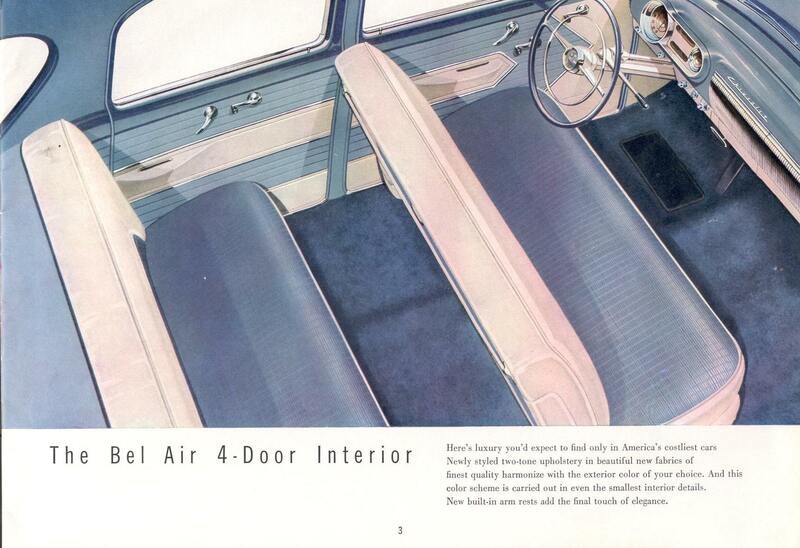 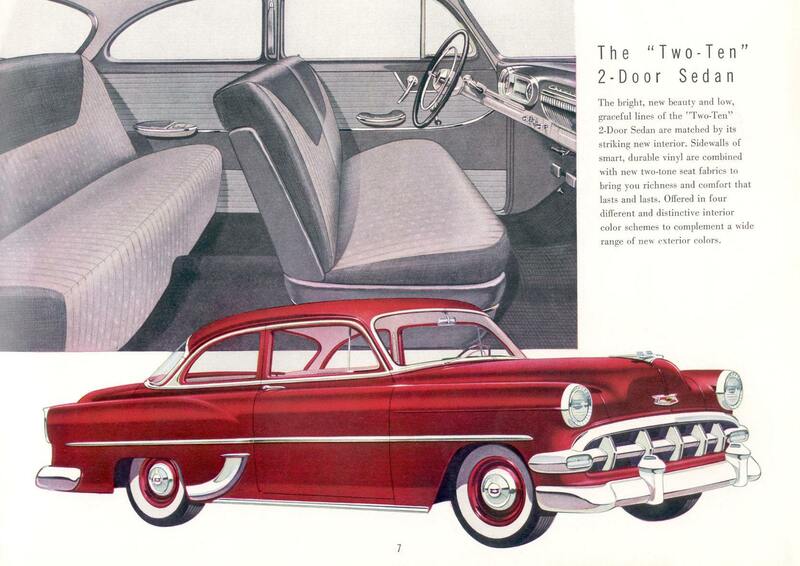 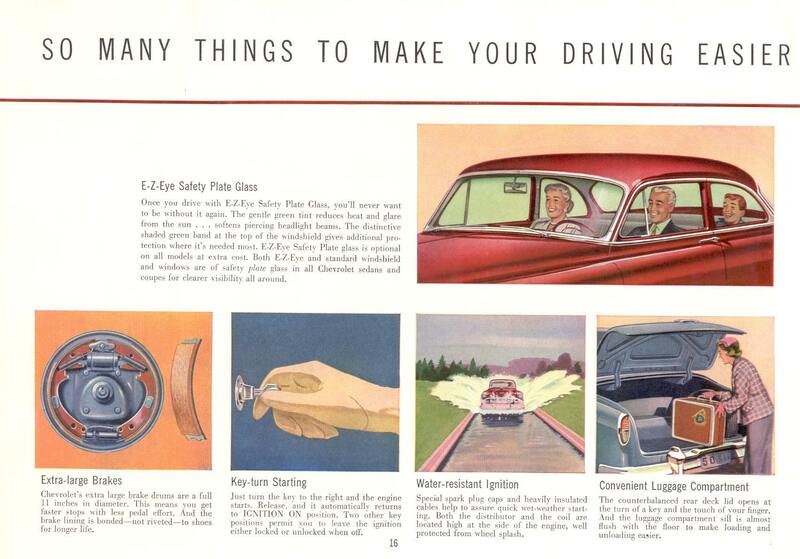 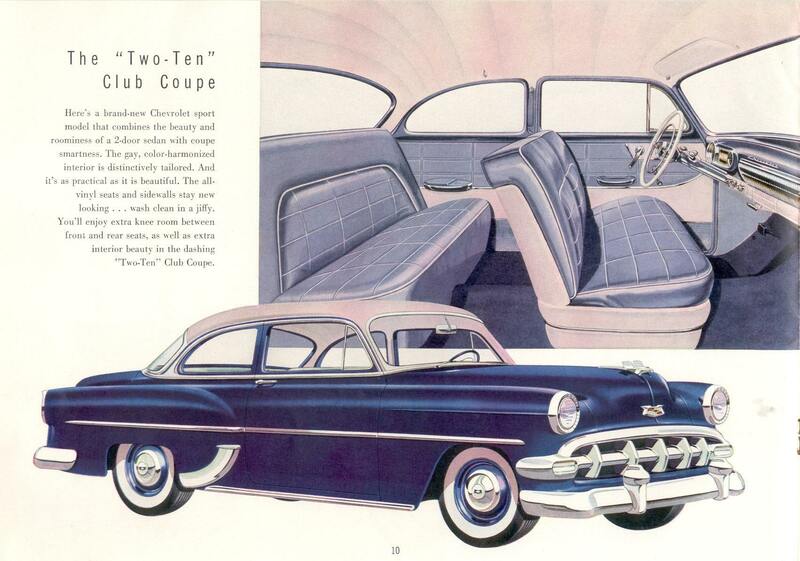 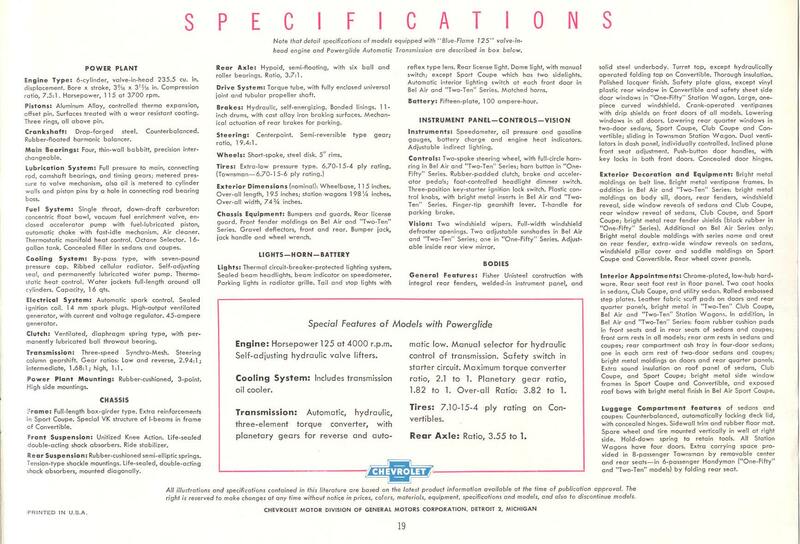 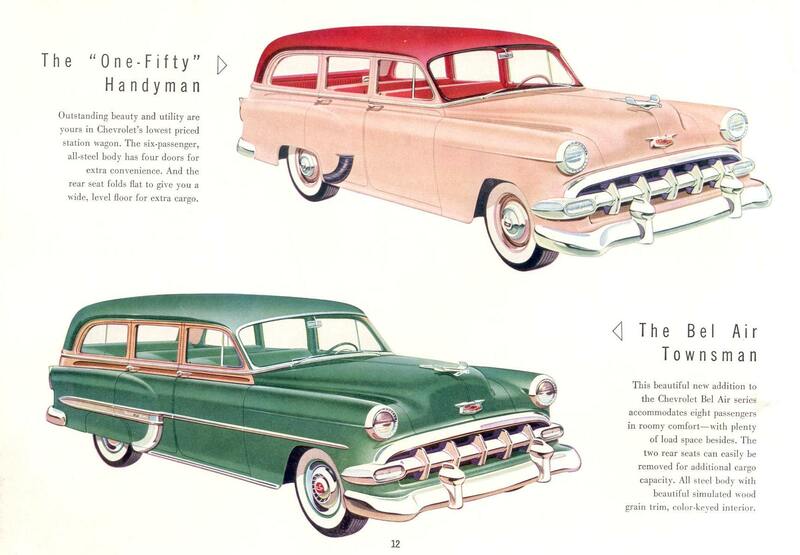 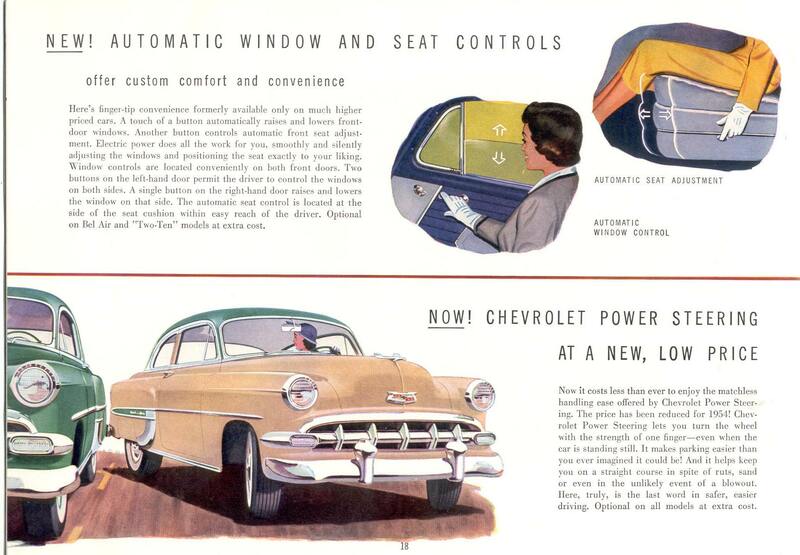 The 1954 Chevrolets are very similar to the 1953 year. 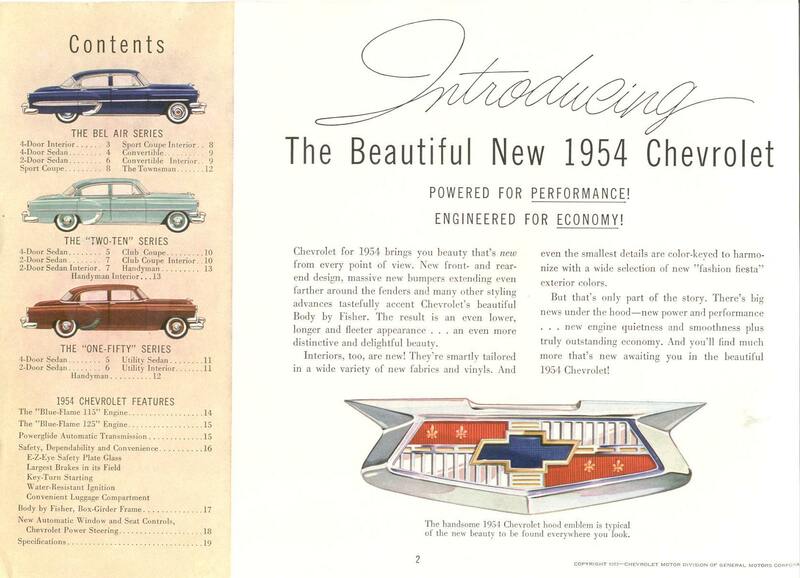 Basically, the only difference is a bit more powerful engine, front grill change, the hood bird is different, the Chevrolet hood and trunk plaques are different, and the 1954 radio has a Chevy logo on the dial. 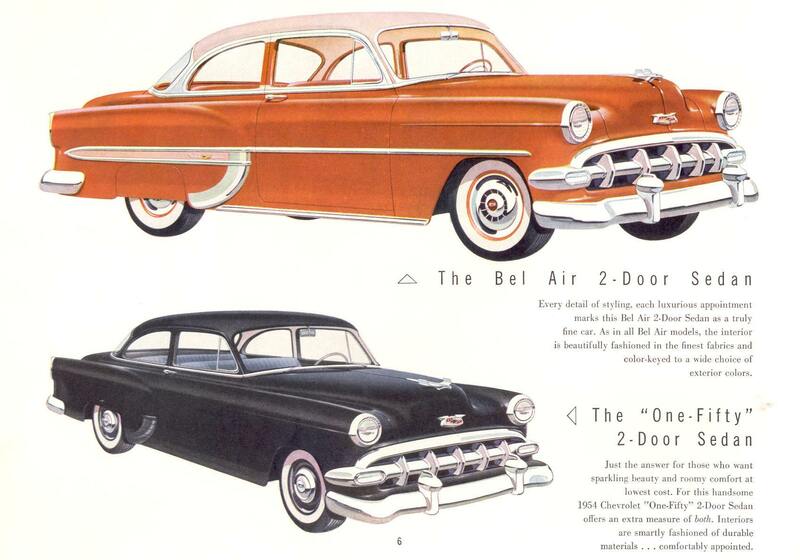 If you know of any other differences, please let us know! 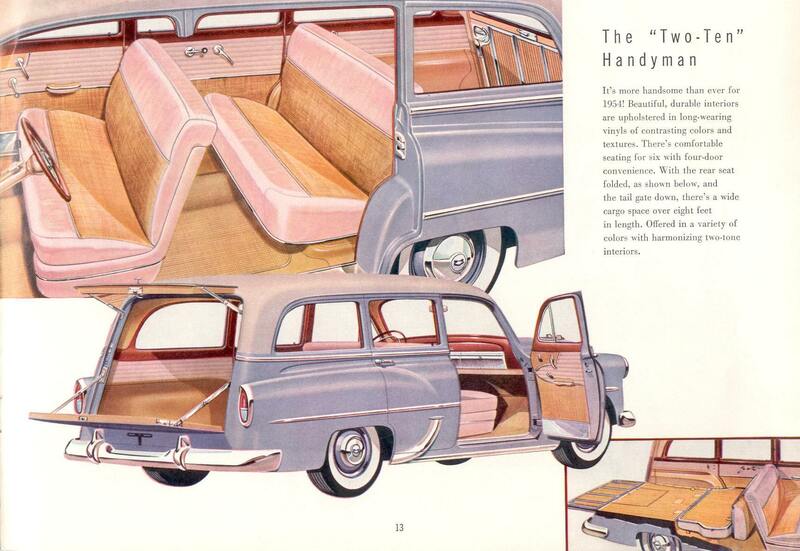 This car also came in 3 styles. 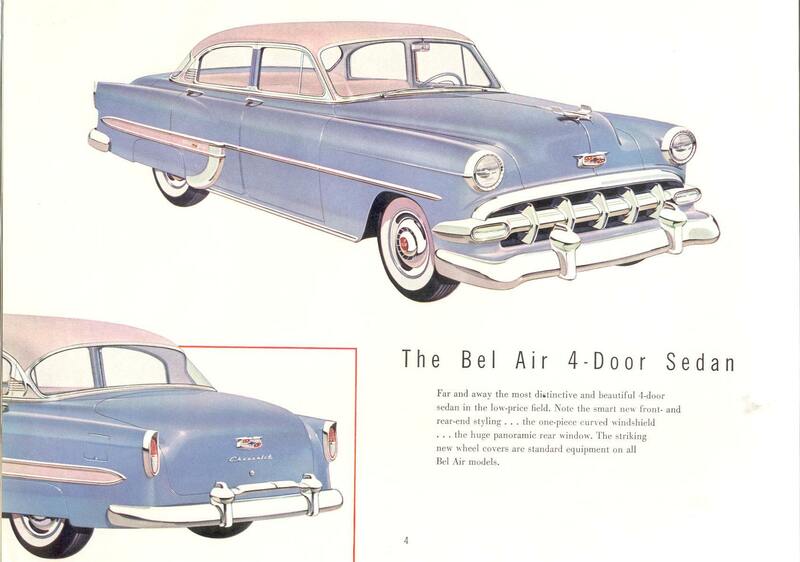 The higher end "Bel-Air" Series, the mid range "210 Series", and the economy range "150 Series".